The size of fitness and slimming industry currently is more than $0.78 billion, which is stated to grow at a CAGR of 25 per cent to hit $2.4-billion mark by 2015, as per MarketResearch.com. The Indian fitness sector has come a long way over the last decade or so. Earlier, it used to be the domain of macho men, and the emphasis was more on body building for men while women preferred aerobics or dance classes. Today, when the lifestyle of people is getting more sedentary, fitness has assumed greater significance in order to maintain cardiovascular fitness and body weight. According to marketresearch.com, which offers global market intelligence reports, the Indian fitness and slimming market make up around 8 per cent of the wellness industry. As per the study conducted by FICCI and PwC, the wellness industry is expected to touch Rs 1 lakh crore mark by 2015. In addition to growing disposable income of people and increased awareness for a fit body, rising intake of fast food by both affluent and working class population has driven the need for healthy lifestyle, thereby helping the industry move up. The size of fitness and slimming industry currently is more than $0.78 billion, which is stated to grow at a CAGR of 25 per cent to hit $2.4-billion mark by 2015, as per MarketResearch.com. “The penetration rate of fitness sector in India has drastically changed in last few years. People have started going to gyms at least four times a week,” says Dr Vikram, CEO, Snap Fitness India. 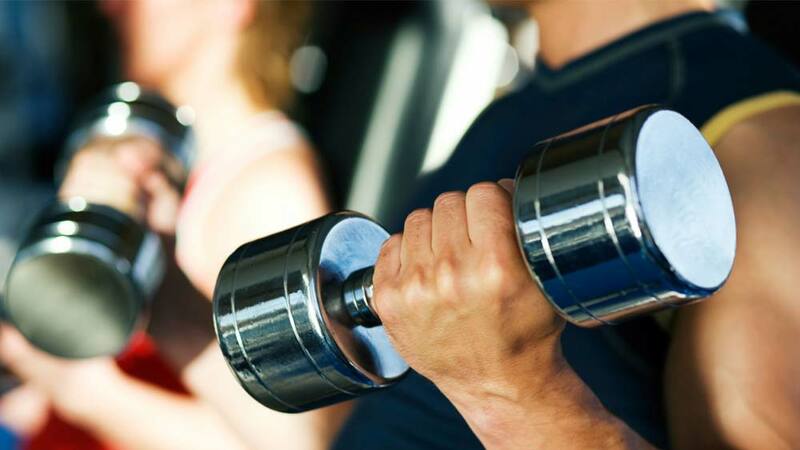 “The growth of fitness market has been immense. As obesity has become an epidemic worldwide, people are thinking to remain fit with regular exercise. In future as well, fitness market will see tremendous momentum coming from people of all strata of the society,” says Sarbjit Singh, President, Indian Association of Health and Fitness (IAHF). “The fitness market is growing at healthy 30 per cent rate, and the scope is high as more youths are becoming fitness conscious,” says G Ramachandran, Director, Gold’s Gym India. The high potential of the sector is however plagued by a large fragmented and unorganised segment as the majority of the market is occupied by mom-and-pop gyms. According to MarketRsearch.com, organised fitness segment constitutes only 25 per cent of the overall fitness industry. “Accreditation of gyms should be there to organise the industry. A registered body of professionals should be there, and all coaches, trainers must be certified before joining any fitness centre. Furthermore, a national council should be formed to make the industry more organised and action oriented,” suggests Singh. Moreover, as the international brands come to India, they would bring set rules and regulations that will help sector to become more streamlined. “Over next few years, it will going to be streamlined when the international brands enter India without compromising on the quality of training and equipment. Even mom and pop gyms can be organised, but they should not compromise on the bio-mechanics of the equipments, ethics of the industry,” says Dr Vikram. The growth will not be limited to urban areas only. With the rise of Tier 2 and 3 towns, the fitness sector has a large potential lying untapped. Snap Fitness has seen a lot of traction in Tier 2 and 3 cities given the fact that different rentals in such cities are low in comparison to metros and Tier 1 cities. “If one makes 60 per cent of the money that he makes in Tier 1 cities, the bottom line (company’s income after deduction of all expenses from revenues) remains the same. This is because the investment, wages amount of wages paid to employees, electricity bills, etc. will be low,” says Dr Vikram. “In Tier 2 and 3 cities too, people are becoming health conscious, so the market will equally be attractive. Also rural areas are a big market as its youth is increasingly becoming aware of staying fit,” maintains Singh. For Gold’s Gym also, the focus is on Tier 2 and 3 cities, and it intends growing there in the coming two years period. The two most eminent challenges that the industry is facing today are lack of skilled manpower and rising real estate prices. Currently, there is no certified Indian accredited diploma or certification for trainers who want to enter the fitness industry. As a fact, local players with untrained manpower eventually dilute the product in the making. “The proliferation of gyms is must faster than the proliferation of educated trainers. There is a big gap that needs to be bridged. The government can play its role by starting accredited programmes,” says Zareen Watson, Founder, Watson Fitness. Based in Mumbai, Watson has one centre in the city and has been an acclaimed celebrity fitness trainer for movie stars, technocrats, bureaucrats, socialites, etc. “Skilled manpower and attrition are two serious issues that need to be tackled by having training institutions giving quality training and grooming, which is almost non-existent today,” says Ramachandran. Being the association body for health and fitness sector, IAHF offers the adequate knowledge and sometime training to aspiring entrepreneurs in the fitness domain. On the other hand execution of the business plan becomes a big issue when it comes to real estate. “The biggest hindrance to the growth of fitness sector in India is the incredibly high real estate prices. The only way forward can be if there is a coming together of experts from fitness industry and builders’ lobby,” suggests Watson. Another trend developing in India among people who wants to stay fit and exercise without going to gym is the usage of all-in-one home based gym equipment. The fitness centres, nonetheless, aren’t too much concerned about it. “The trend will help the industry as people in the upper income area across the globe like to have the option of doing work-out at home. It will not hurt our business because it is more than just the equipment that makes the difference. It is the emotional aspect to fitness. Fitness centres like us offers coaching, nursing and care to its customers whereas equipment are just one aspect of it,” says Dave Mortensen, Co-Founder, Anytime Fitness. Started in 2002, US-based Anytime Fitness has expanded to 2,405 clubs in 16 countries worldwide. In India, it has three centres in New Delhi, one in Bhuj, Gujarat and soon to be opened in Hyderabad and Mumbai. Unlike many other businesses belonging to wellness industry – beauty, healthcare, salon & spa – fitness requires hefty investment usually more than Rs 1 crore depending on the city, area required, equipments types, etc. When it comes to PE investments, the sector hasn’t seen the light yet. “In wellness industry, healthcare has a lot of demand but in the gym segment, we see that businesses struggle to generate flow of customers, making the investment per centre higher than what they are able to generate in terms of customers growth etc. The real estate cost and capital expenditure eat into the profitability of these businesses and because of it fitness centres today face challenges in generating high RoI in the business. We have not seen the merit of investing in these businesses,” says Dhanpal Jhaveri, Partner and CEO, Everstone Capital Advisors. The company had invested around Rs 50 crore in health and beauty brand VLCC in 2007. “PE firms rarely invest in a fitness centre. To set up a good quality gym in a metro requires at least Rs 2.5-3 crore. The investment is huge while the breakeven happens after 4-5 years and PE firms don’t want to go that far. A single treadmill would cost around Rs 2.5-4 lakh apart from different other equipment which are also very expensive. This is the reason why PE firms don’t invest in fitness sector,” says Watson. “Because the sector is unorganised, the investors do not understand it. Also awareness in fitness industry whether it is B2B or B2C is very low when you compare it to international markets. Investors are sometimes scared of their investments, but it is not true as it is a sun rise sector and a cash positive business,” asserts Dr Vikram. The company is currently in talks with different PE firms to raise $3-5 million. The industry is large enough to offer growth opportunity to both existing and upcoming players. Until the market gets organised, the existing organised companies running fitness centres can grow without the fear of competition. When it comes to mom and pop gyms, certainly there is no competition. “We have mom and pop gyms all across the globe. We welcome them and hope that they are very successful. We don’t worry about competition from them as quality and service that we will offer to our customers is something that they will probably not be able to provide,” says Mortensen. “The mom and pop gyms are giving way to organised retailing in the gym business, and it is felt that this process will accelerate in coming year and will be an opportunity for global players like us,” says Ramachandran. “A healthy competition is always good to make someone better in what he does. If you are good at what you do and your customers are happy, then it does not matter who comes into the market provided he is good too. We don’t want sub-standard quality players,” says Watson. The fitness sector is currently at a nascent stage that will grow gradually as more and more people incorporate fitness in their daily routine. The penetration rate will go up to 4 per cent in next 1-2 years as it has already grown from 0.1 per cent to 1-1.2 per cent in last few years. “We are focused more on the middle and upper middle class customers. Our expansion plan for India is to grow massively here. Our expansion will be based on partnerships. We look to find the right franchisee partners that depend on where they come from and what markets they would like to develop in. In India, we will grow over 100 per cent as we will open 10 stores by the end of 2014,” says Mortensen. Out of Anytime Fitness’s 2,405 centres, 95 per cent are being franchised. “Currently, there are close to 31 stores in Bangalore and 50 stores pan India. There are seven company-owned stores and rests all are franchised. We have a plan to open close to 30 company owned and 70 franchised stores by the next two years. We have to open centres in 300 locations in next four-five years,” says Dr Vikram. “In next three to five years, we would open at least 500 gyms with 400 of them being franchised and rest corporate owned,” says Ramachandran. The fitness sector is set for growth, but it is crucial for the government to regulate it along with subsidising the real estate prices for the organised segment of the industry and bringing in more courses and certifications to create quality manpower. Until such measures are adopted; the growing businesses in fitness sector will continue to be thwarted by existing hurdles. Tata AIG launches three new health products..